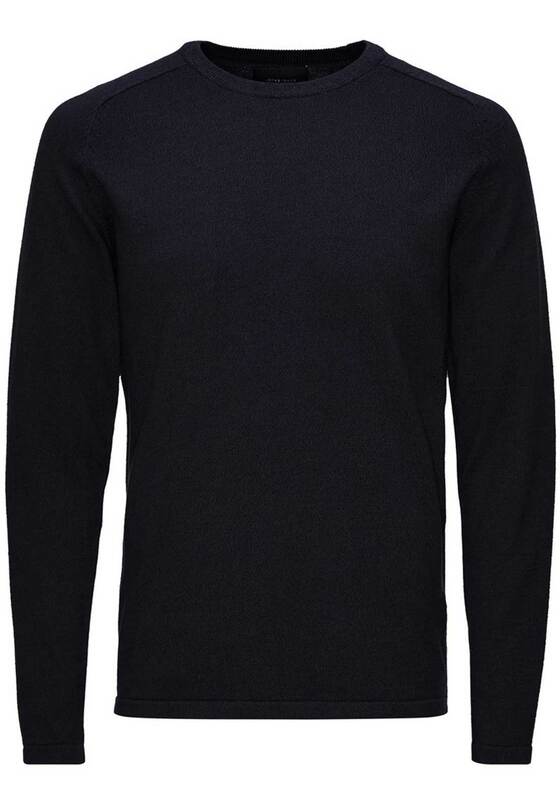 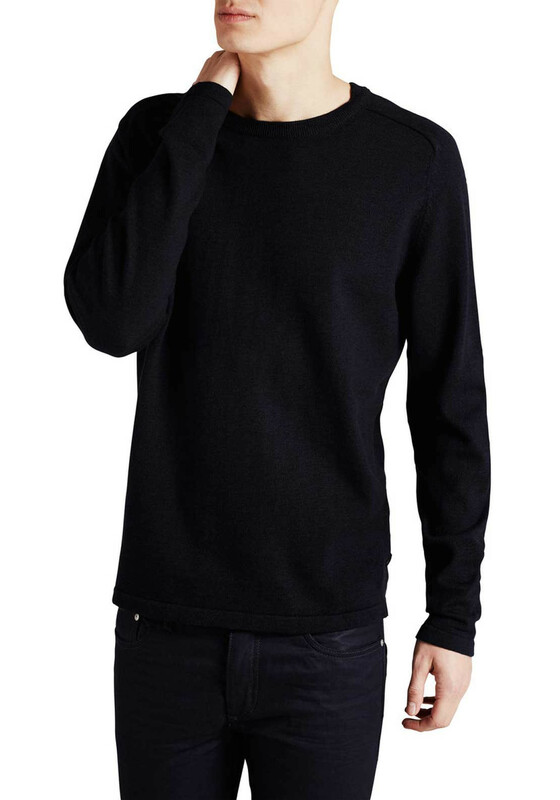 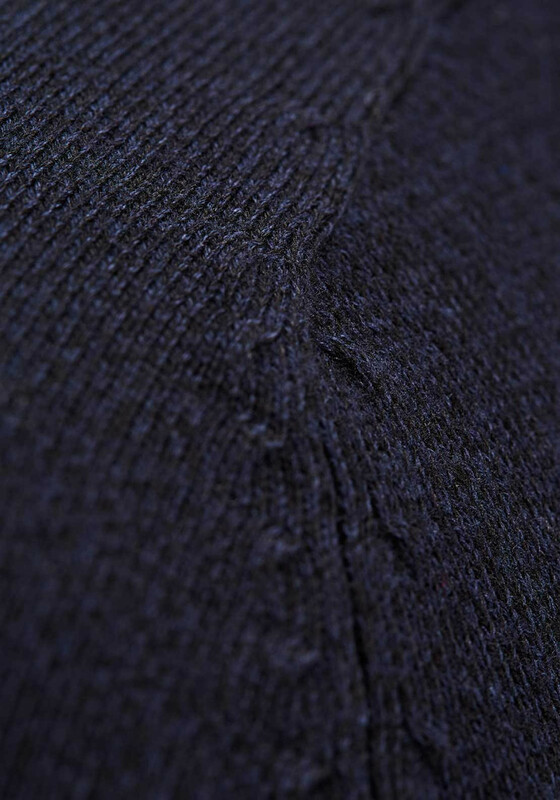 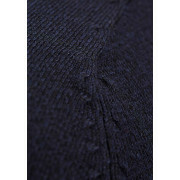 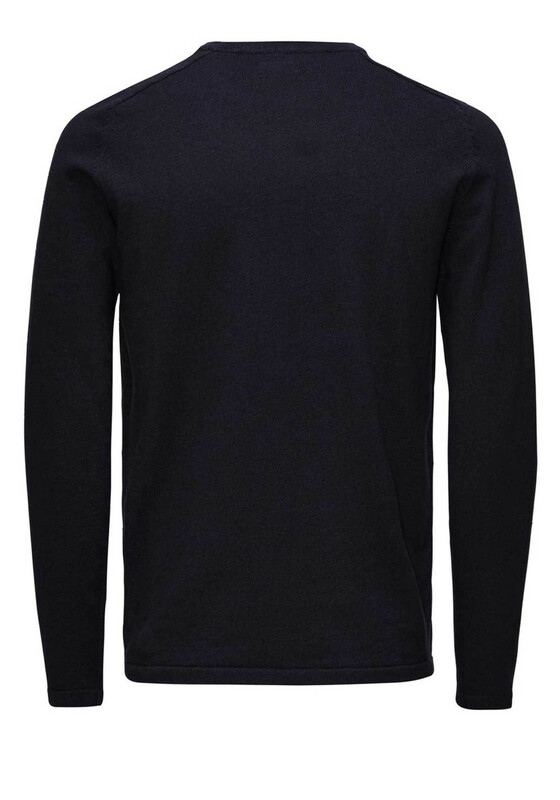 A great update for your wardrobe, the dark navy Simple sweater from Jack & Jones would look great worn with beige chinos. 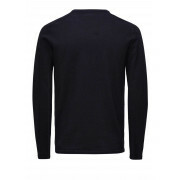 Crafted from soft and comfortable fine knit cotton fabric and styled with a regular fit. 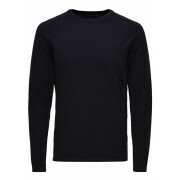 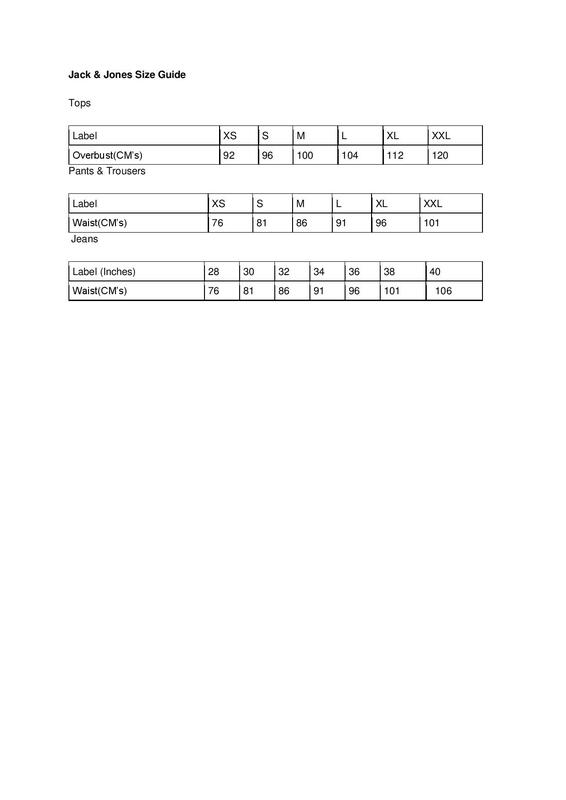 Finishing touches include a ribbed round neckline, long sleeves and a logo tag at the hem.